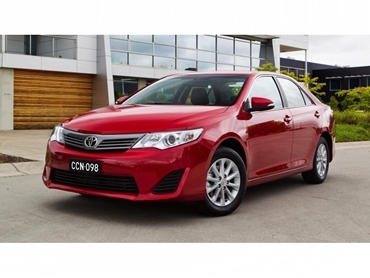 The country’s best-performing car manufacturer, Toyota Australia, will receive an extra $30 million from the federal government to make a new Camry. New Corp Australia reports that the money will help protect 2,500 jobs at Toyota’s factories in Altona up until 2017, and – though it hasn’t been confirmed by the government or Toyota – the deal will be announced later in the week. Toyota receives less public funding than Ford (which will stop making cars in Australia in 2016) or Holden (which is currently trying to negotiate wage cuts from its workers to stay viable). The Japanese-based car maker loses approximately $2,500 for each car produced in Australia, though announced a profit earlier this year based on sales within Australia of imported models. According to News, the funding will be used to completely redesign the Camry, which is in the middle of its six-year lifecycle. "We think the car industry is important because of its impacts on research and development, it impacts through the supply chain," treasurer Chris Bowen told the ABC.